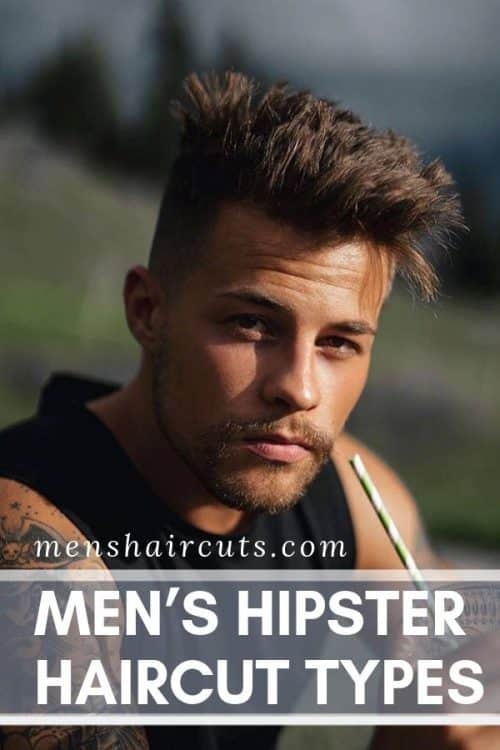 Hipster haircut is the notion that all the trendy men are aware of. The thing is that these cuts have been trending for a while now but with every day there is a fresh twist added. That is why we want you to be ahead of all the others and suggest to your attention the most stylish cuts you should opt for to maintain a trendy look. Keep it in mind that you flawless image is worthless unless you complete it with proper cut! If you are a real hipster guy you know how much your haircut means. In case you are all in for longer hair then we have something in store for you! The thing is that there are a lot of looks to pull off with backswept hair and all of them will grant you neat and sassy look. Try it out and you won’t regret it, however it is important that you use some hair product to keep everything under control. Picking both stylish and comfortable hair cut for men may be a little tricky but we always have a way out at hand. The combination of mid fade and pompadour is the perfect option for those of you who wish to kill two birds with one stone. What is more, there is barely any outfit that this cut wouldn’t suit, anything on the scale from official look to a night out one will look perfect with this cut! 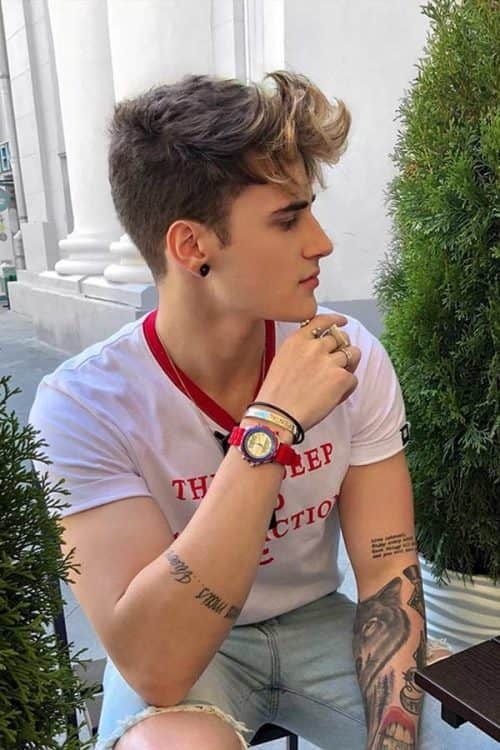 If you combine classic hipster style with modern haircut this is the result you will get and we can’t say that it is anything but exquisite. The thing is that the classy vibe matched with messy sassiness is something that all the men will appreciate. What do you think? 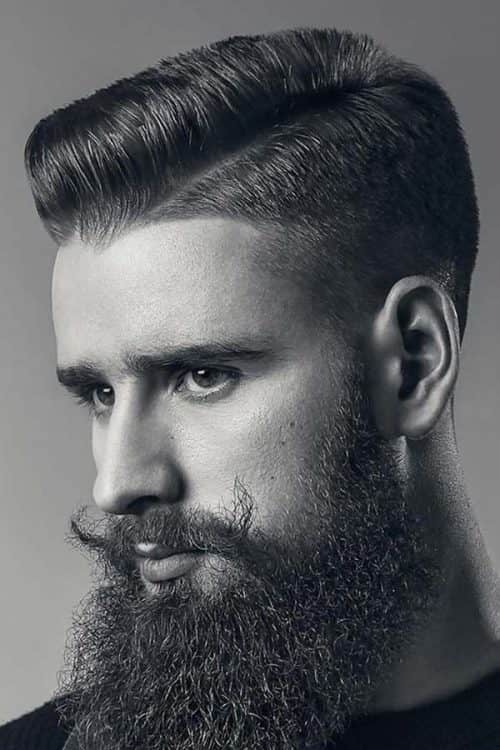 Very often hipster cut is combined with a long and well-trimmed beard and there is nothing wrong with it. The only thing is that there is always a need to disconnect the haircut and the beard and there is nothing better to do so than to opt for a mid fade cute. When looking for hipster haircut men think not only style but also comfort not to mention suitability for various occasions, formal ones. Men with long textured hair may suffer the most since it is hard to deal with longer hair when it comes to official events. 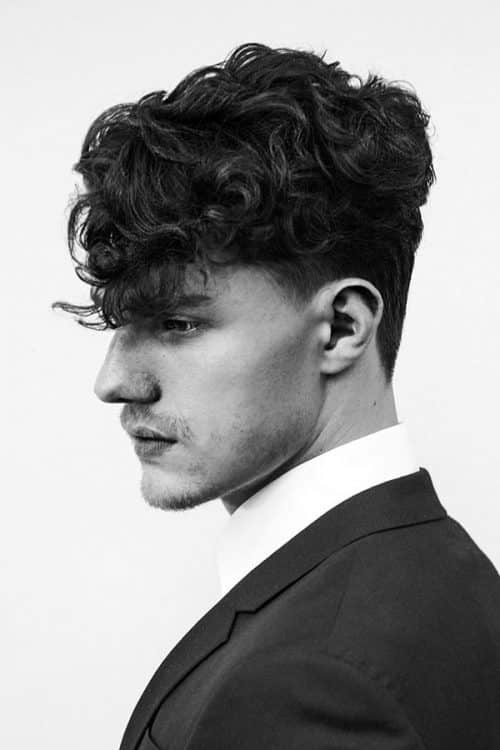 However, side swept haircut will help you manage with this uneasy task like a pro, you can trust us in that! There are many situations why you can’t grow out your hair but there is not need to fall into despair. 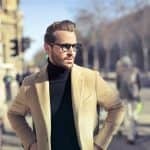 You still can use your hipster beard to create that stylish and flawless image many can only dream of. See for yourself! 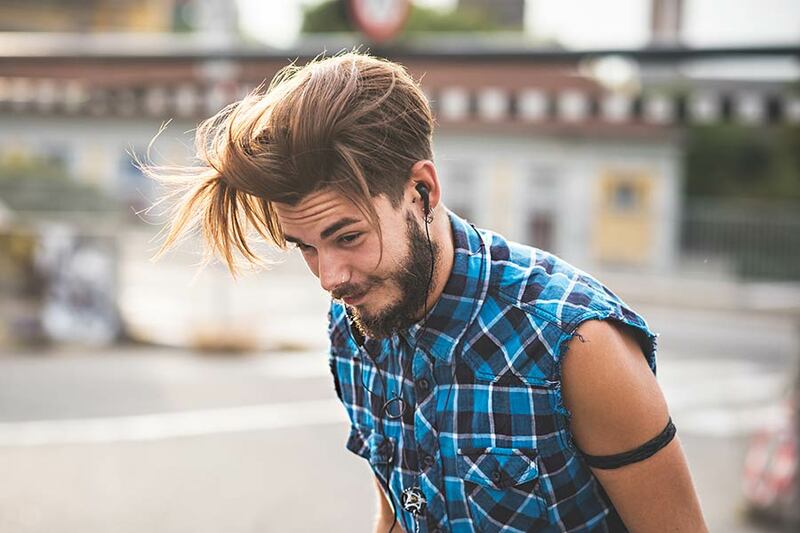 To tell you the truth there are almost no limits when it comes to hipster haircut for guys. But, one thing stands true mens long hair combined with beard are the sassiest thing that many women fall victims to. In case, you are afraid that your beard will take you too much time to take care of it, you couldn’t be more wrong, you can just let it grow and enjoy that messy look. There are many times when beard styles are that one thing that saves the haircut. You can wear the shortest and the simplest haircut but if your beard is trimmed well you will look just fabulous no matter what. 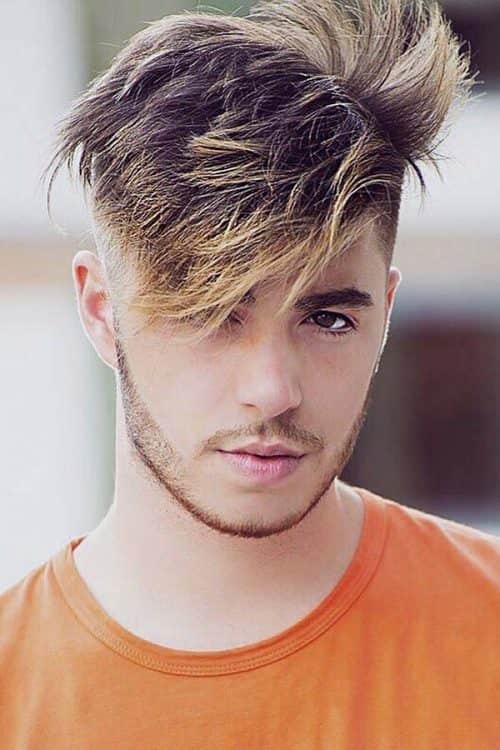 What is shorter haircut with beard are very stylish and convenient, because your hair does not get in a way and there is not that much time and effort to be spent on styling. French moustache can also add an unforgettable vibe to your look. Overall, it is a win-win combo! There are some haircuts, which look great but are very easy to get and to maintain. Spiky hair is that type of hipster hair, which looks perfect in its simplicity. If you are the one who does not want to spend too much time on your hair then this cut is perfect for you! High fade haircut is that one perfect cut for textured hair. However, if you wish to add some spice to your hipster look we suggest you let your beard grow a little. There is nothing sassier than a cared for beard and messy hair! You shouldn’t be afraid of long hair if you are looking for a hipster haircut. The thing is that with longer hair there are many looks to play around with and versatility is that one thing that most men value. Style your mens bangs up and get ready to conquer the hearts! Every man should be a real gentleman not only in his heart but also outside. 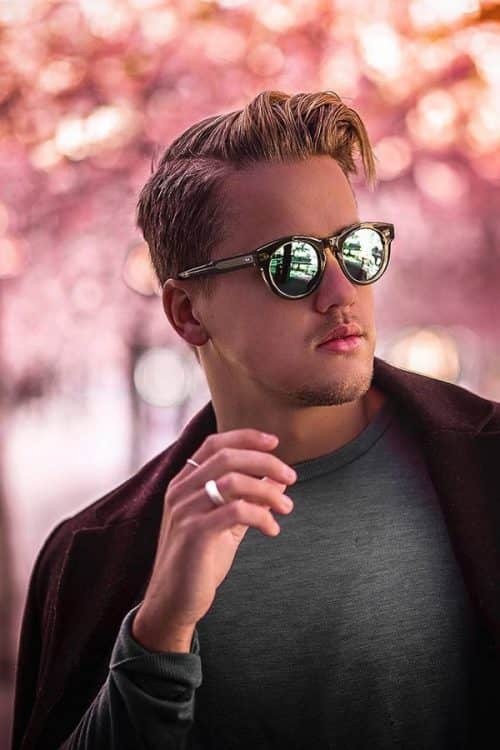 That is why you should pay great attention to your hair, however even the classiest and the simplest haircut can grant you that necessary gentleman look. All you need to do is to opt for a side parted hair, work some hair product in and your flawless look is ready. Of course, if you are also a lucky owner of beard and moustache you shouldn’t leave the two out. French moustache style combined with long beard will grant you that classy charm that will melt all women’s hearts! Hipster haircut is not the newest notion but that does not mean that styles are not changing. 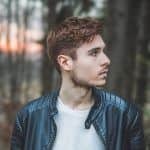 That is why we suggest you have a look at this freshest and trendiest hipster haircuts compilation so that you look stylish and flawless no matter where you go!